Today I’m going to share a secret that I guarantee will bring positive changes to your life. It doesn’t matter how many past mistakes you’ve made in life. Read on, especially if you are tired of working hard to make your life better, only to see yourself fail time after time. 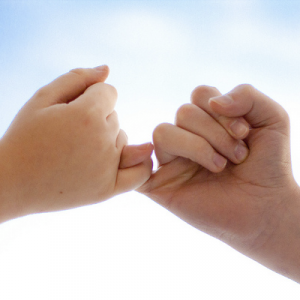 We all know that our failure rate is very high when we make promises, as many do at the beginning of the New Year. For example, let’s look at the most popular New Year’s resolutions. According to a survey, the 5th reason on the list was to take up a new hobby; the 4th was to make more money; the 3rd most popular resolution was to improve relationships; the 2nd was to stop smoking, and the most popular New Year’s resolution, you guessed it, losing weight! Those are good resolutions, but they’re usually broken before the second month of the New Year rolls around, maybe even sooner. Why so much failure? Here is the problem when we make resolutions, even good ones. We usually only make those promises to ourselves. The secret to keeping our promises to do better, though, does not depend on how good our promises are, or on how good our intentions are. It largely depends on WHO we make the promises to. Let me illustrate. Suppose you have a pet dog (assuming you are a dog lover), and you notice he is not feeling well. You take him to an animal clinic because he is getting more and more sluggish. The vet examines your dog and tells you to change the food you are feeding him. If you love your dog, you’ll promise the vet to make that change, no matter how inconvenient it is. You know it’s important. Apply that idea to the promises you make about yourself. If you only make the promise to yourself, it’s easy to change your mind about doing it. If, on the other hand, you make your promise to the One who created everything, and you know He cares about you, then you are much more likely to keep that promise. Keep in mind that God is so great that He has always known everything, and we can know that He loves us because He volunteered to suffer in our place. Those of us who know Him personally appreciate both His knowledge and His care for each of us. Think about it. If you love the Lord deeply, and you make your promises to change because of Him, your changes will become much more consistent. Remember why we love our God? Here is the most important reason: “When you were dead [to a relationship with God] in your transgressions… He made you alive together with Him, having forgiven us all our transgressions, having canceled out the certificate of debt consisting of decrees against us, which was hostile to us; and He has taken it out of the way, having nailed it to the cross” (Colossians 2:13–14). Because we are trusting Him as the only way we can be forgiven, we long to join the millions of people around God’s throne who are “saying with a loud voice, ‘Worthy is the Lamb [Jesus] that was slain to receive power and riches and wisdom and might and honor and glory and blessing’” (Revelation 5:12). If we make promises to this God that we love, and not just to ourselves, it changes everything. It’s easy to casually promise to do better, but if we make important promises because we want to please the eternal Creator who died to pay off our sin debt, then it becomes a serious matter. God takes promises we make to Him very seriously. He doesn’t want us to make them lightly. That is why we read, “When you make a vow to the Lord your God, you shall not delay to pay it, for it would be sin in you, and the Lord your God will surely require it of you….You shall be careful to perform what goes out from your lips, just as you have voluntarily vowed to the Lord your God, what you have promised” (Deuteronomy 23:21, 23). Here is some really great news. When we take our relationship with God seriously, we find that He is actually the One who makes those needed changes. It is God’s strength that makes the difference, not our good intentions or even our hard work. That is why King David said, “The Lord is my strength and my shield; My heart trusts in Him, and I am helped; therefore, my heart exults, and with my song I shall thank Him” (Psalm 28:7). We must first see ourselves as weak and helpless and unable to change on our own before we can become what God wants us to be. We can’t make the changes He wants us to make apart from finding the strength that God, and only God, can give us. What a joy it is to experience Him doing in us what we cannot do for ourselves. As Paul put it, “I can do all things through Him who strengthens me” (Philippians 4:13). The joy that comes from God brings an unexplainable, inner strength. “… Do not be grieved, for the joy of the Lord is your strength” (Nehemiah 8:10). I want you to experience the joy that God wants for you in 2019. It will come as you lay hold of God’s promise that you can be “strengthened with all power, according to His glorious might, for the attaining of all steadfastness and patience; joyously giving thanks to the Father, who has qualified us to share in the inheritance of the saints in Light” (Colossians 1:11–12).